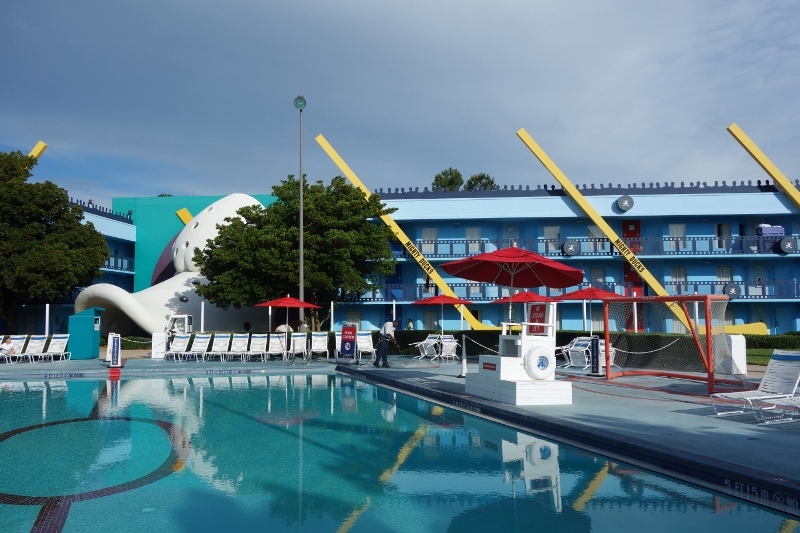 For the first page of this review of Disney’s All-Star Movies Resort, click here. 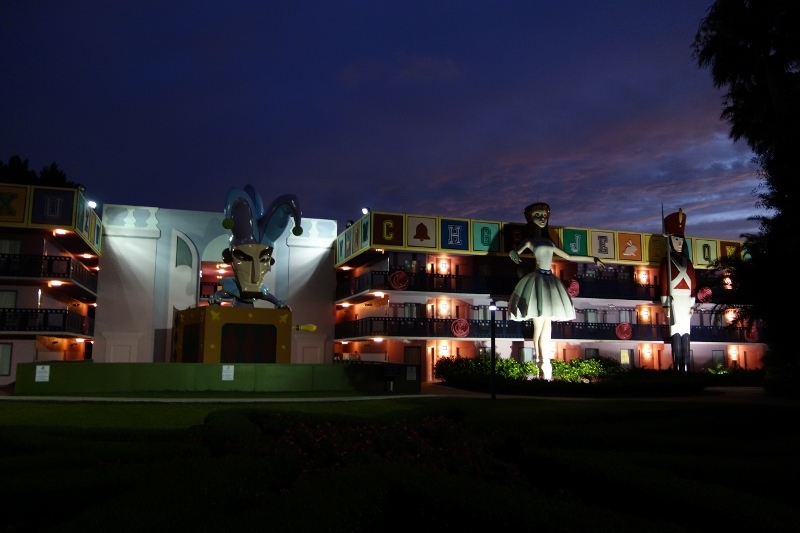 Each of these five has four-person full bed standard rooms. 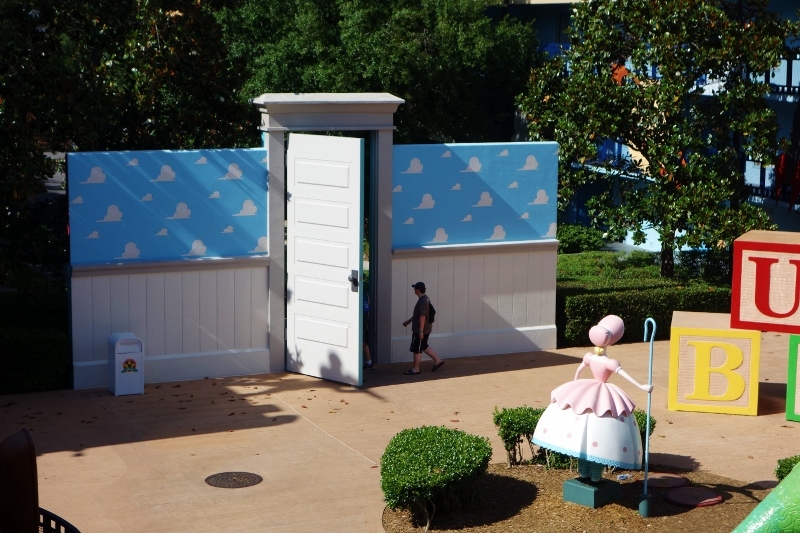 Refurbed rooms at Pop Century have queens. 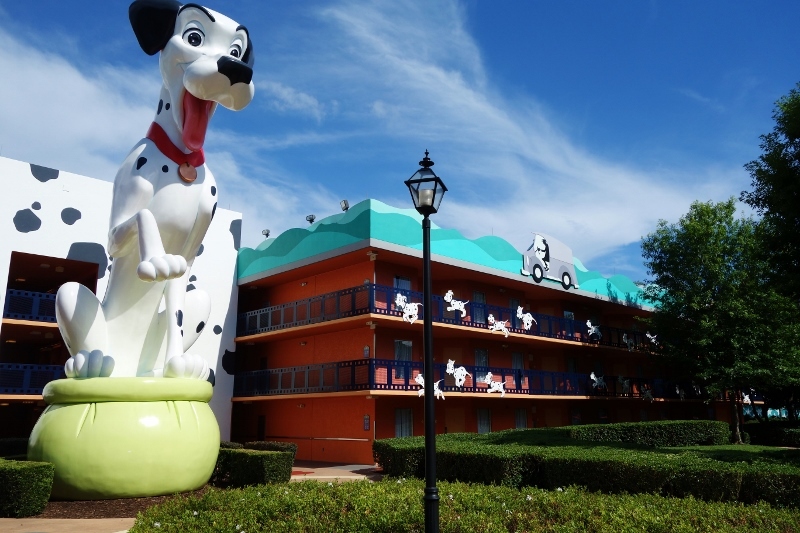 For standard rooms, for most families Art of Animation is the best choice, followed by Pop Century. All-Star Movies is the third-best choice. 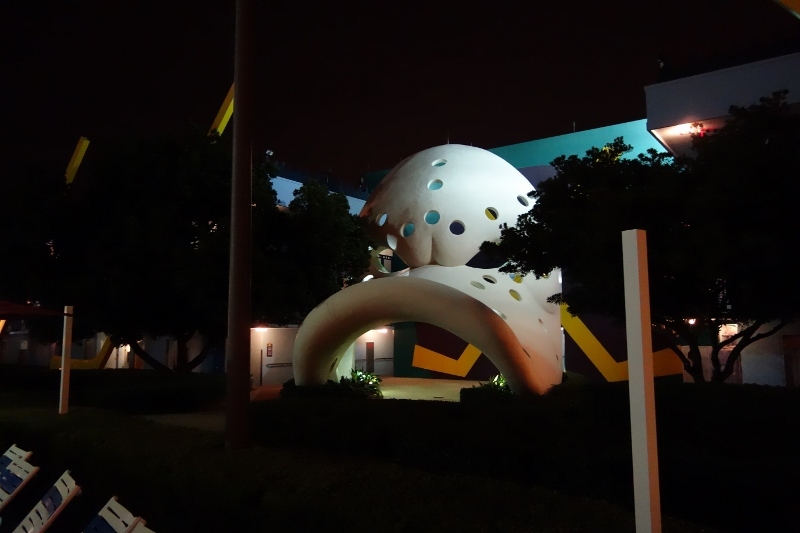 –and for family suites, too, for most families, Art of Animation is the best choice, although in some circumstances those at Music are the better choice. 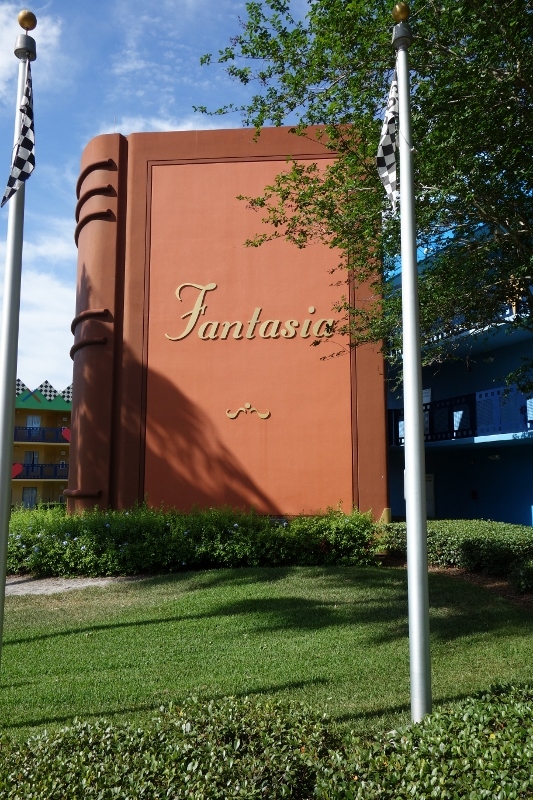 All-Star Movies has 1920 rooms in ten three-story buildings, all with elevators. 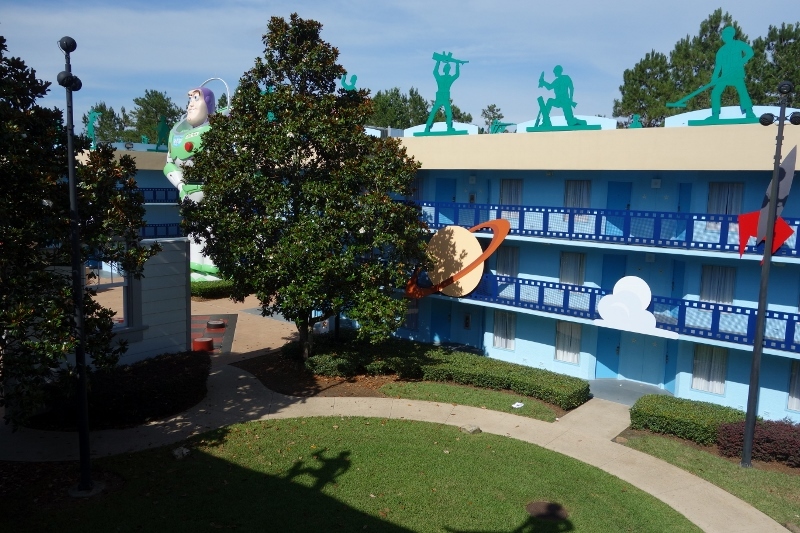 These buildings are in five areas, with each area themed around a different movie–Fantasia, The Love Bug, Toy Story, 101 Dalmatians, and The Mighty Ducks. 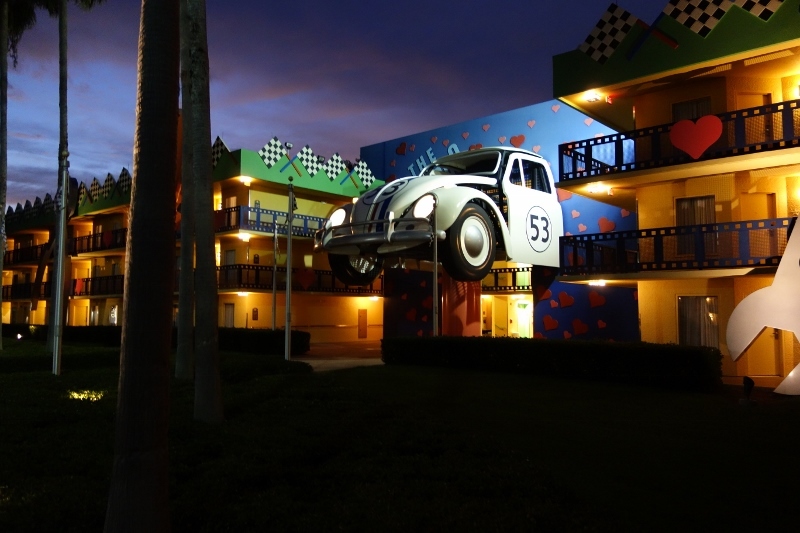 Of these, the Love Bug and Mighty Ducks area are most distant from the central services in Cinema Hall, and the other three areas are close. 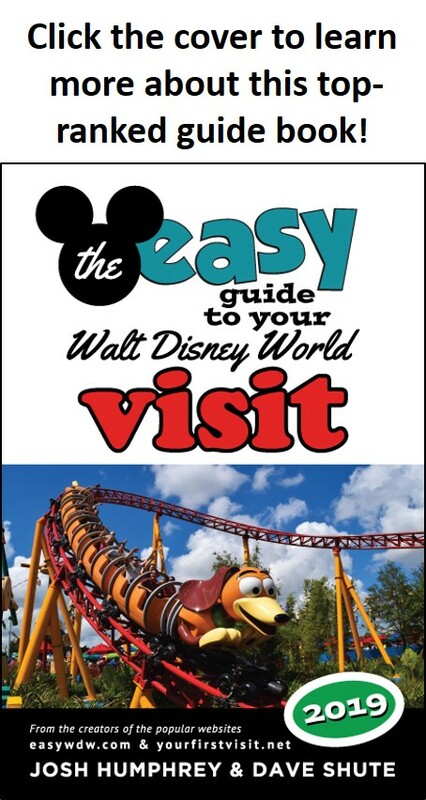 See the map–but also see below on a way to increase Mighty Ducks convenience. 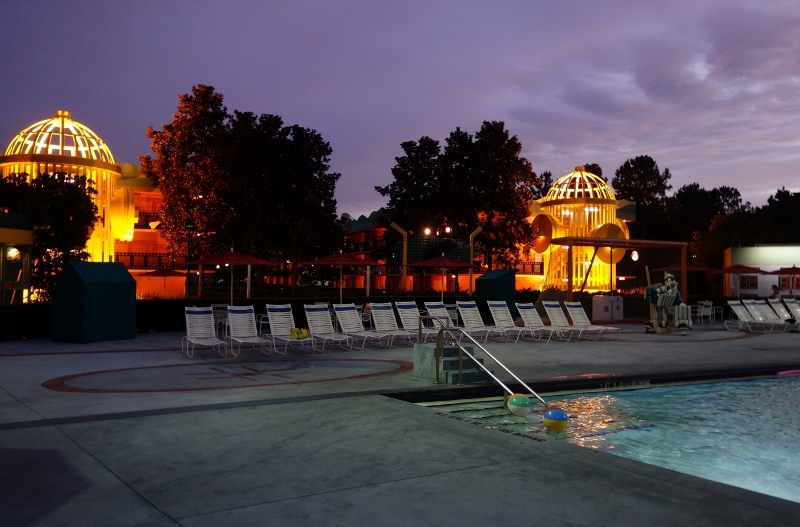 Parts of the Mighty Ducks and Fantasia areas surround pools–making them noisier. 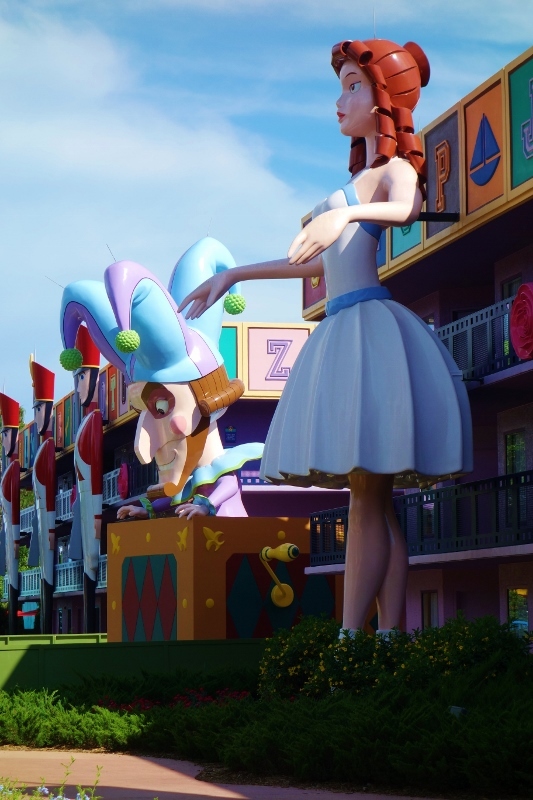 Each area has distinctive multi-story statues and building decorations tied to its theme. 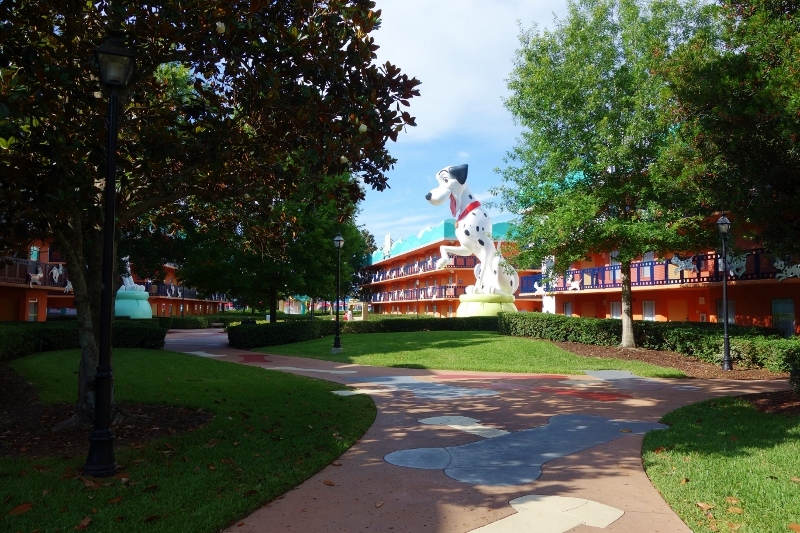 Buildings 1 and 4, 101 Dalmatians, are close to the central services, and a good choice for balancing location and lack of noise. 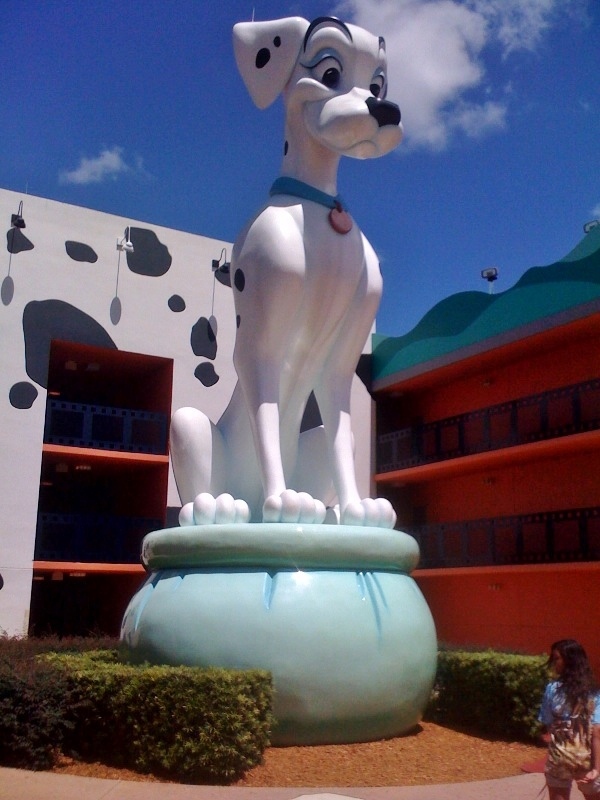 …and a lot of puppies. Once the kids get the fire hydrant joke, they’ll giggle for hours. There’s not much going on in the courtyard between the two Dalmatians buildings, which–at least for me–makes for a bit of a welcome respite. 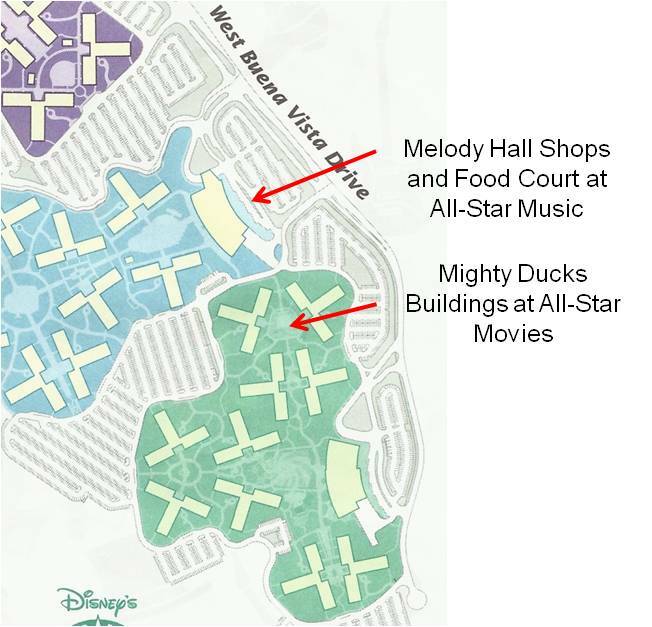 Buildings 2 and 3, Mighty Ducks, are grouped around a second pool, the Duck Pond, and far from Cinema Hall–but very close to the food court and bus stops at the next-door All-Star Music Resort. 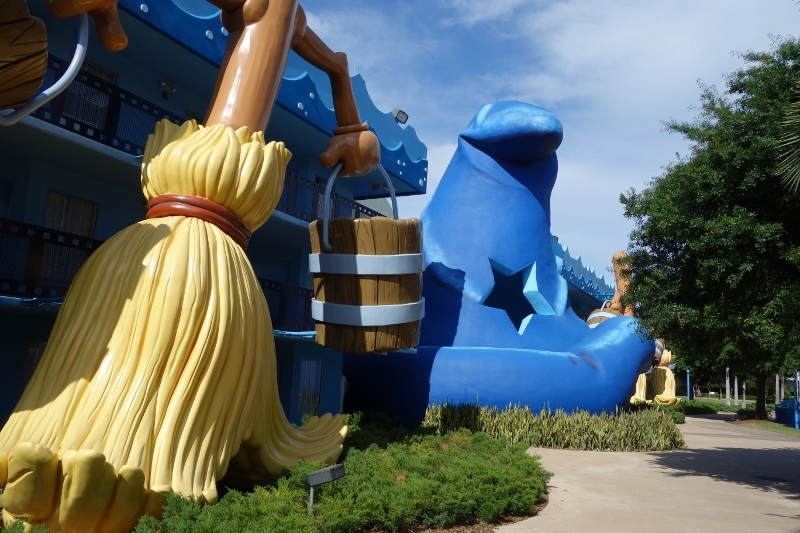 They are hockey-themed, and as with the Fantasia section, a little frighteningly so. 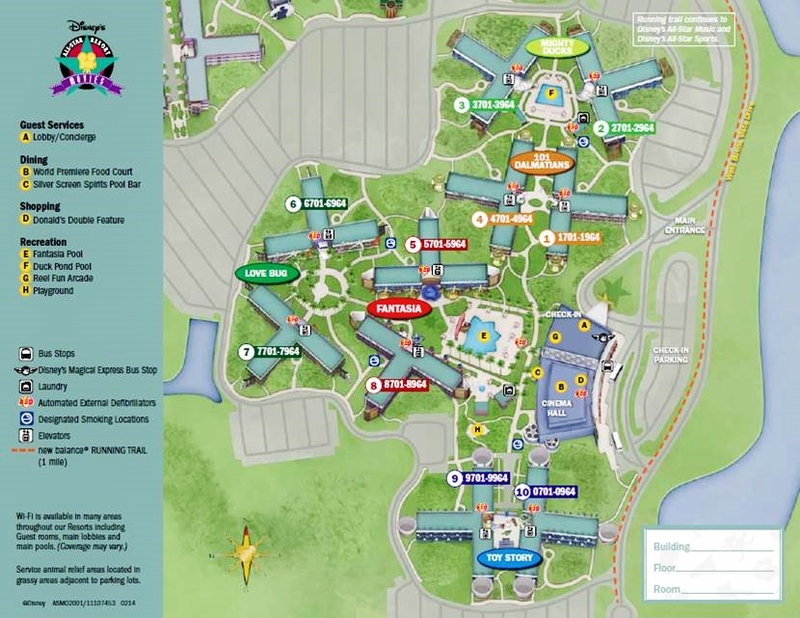 See the map for how many rooms in the Mighty Ducks buildings are actually closer to the food court and bus stop at All-Star Music than the ones at All-Star Movies. 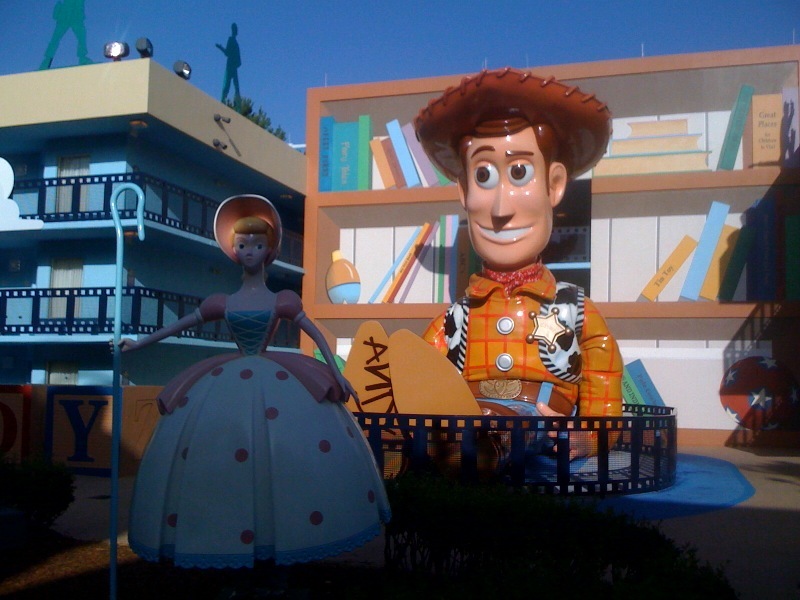 Buildings 9 and 10, Toy Story, are close to both Cinema Hall and the bus stops, with some hard to find but very close parking spots (between buildings 9 and 8). 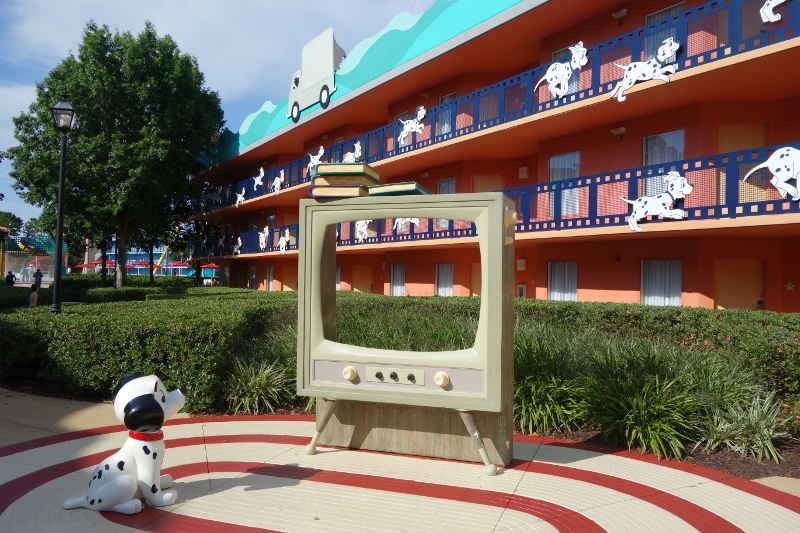 They are probably the best overall place to stay at All-Star Movies, because of kid appeal, convenience, and relative quiet. 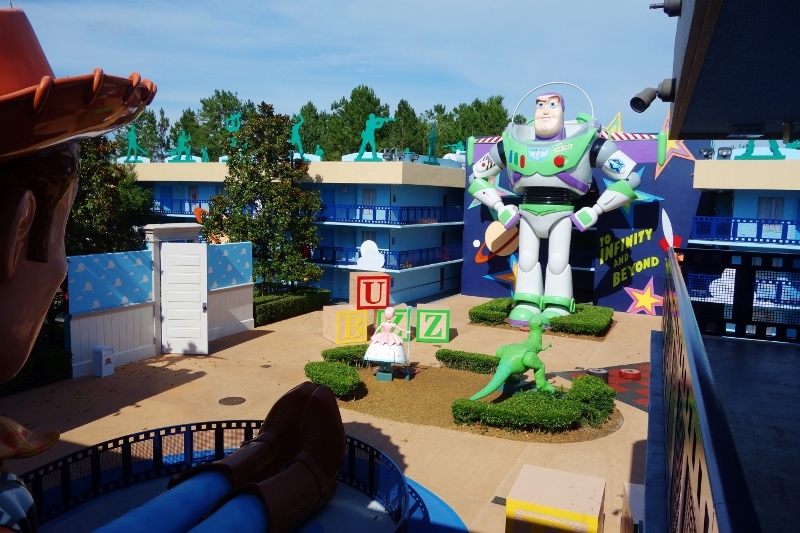 The courtyard between the two buildings, watched over by Buzz and Woody, is themed at its center as a multi-story version of Andy’s room. This shot gives a better sense of the scale of this space. Army men guard the ramparts. 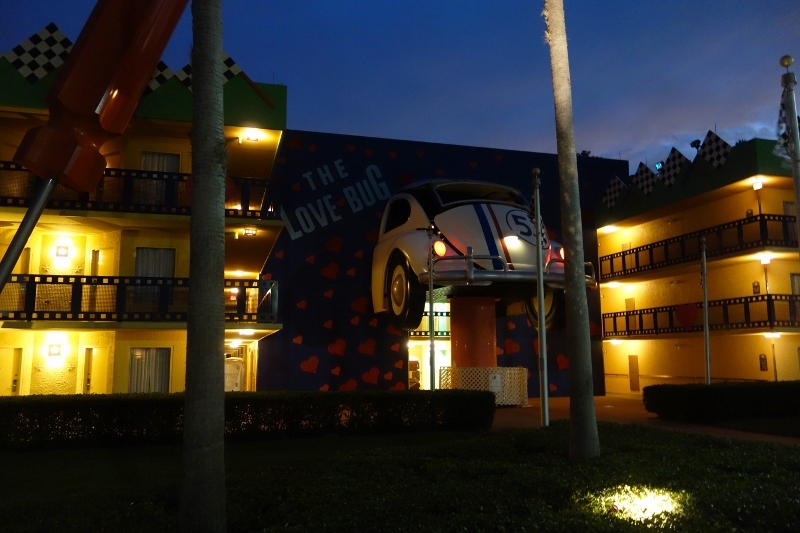 The final themed area, Buildings 6 and 7, Love Bug, is as distant from Cinema Hall as the Mighty Ducks. 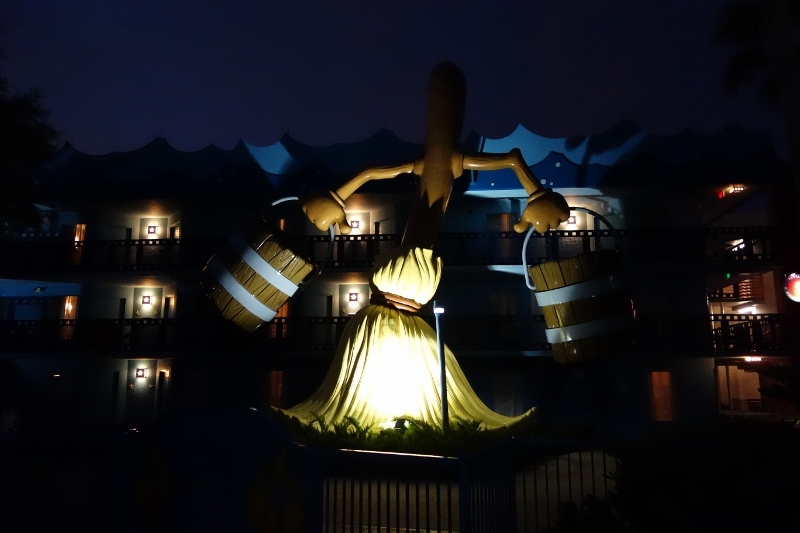 …and the back half from another. 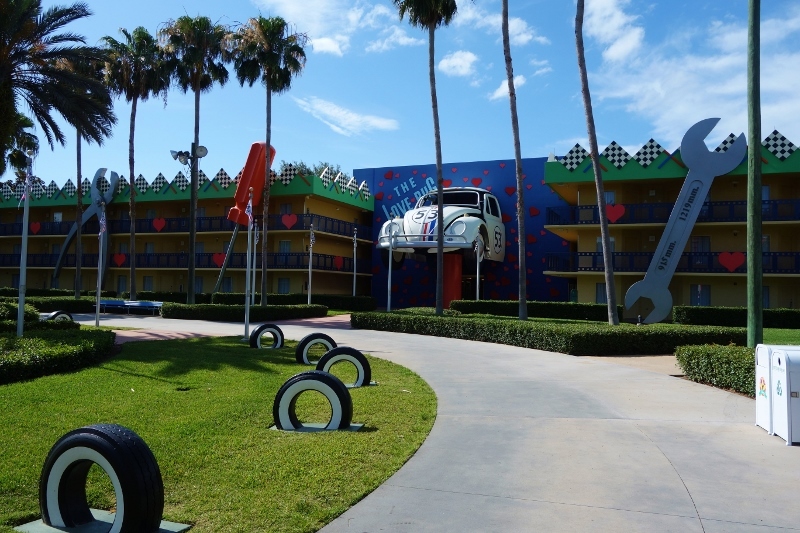 Note also the screwdriver and wrench theming along the walls–a visual that just screams “vacation.” To someone. 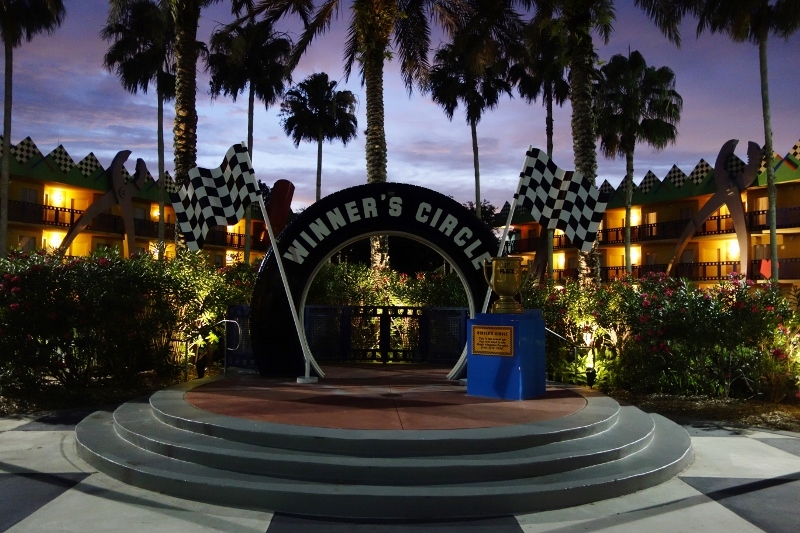 The central area between the two buildings is set up for award presentations–a lot of youth sports teams competing in tournaments at ESPN stay at the All-Stars, and can congratulate themselves here. Comment by typing in the form below.